"Verses to Prepare Your Heart"
"Du'as to Beseech Opening From Allah SWT"
"The secret of acceptance of du'a is in the manner of asking and the faith in the One you are asking from!" However, there are certain conditions for the acceptance of du'a and the most important of them is purity of heart from anything other than Allah SWT. We have to be in a state of heart and mind where we are fully aware that no one other than Allah SWT has any control over our situation; only He SWT can give us what we want or take away what is afflicting us. 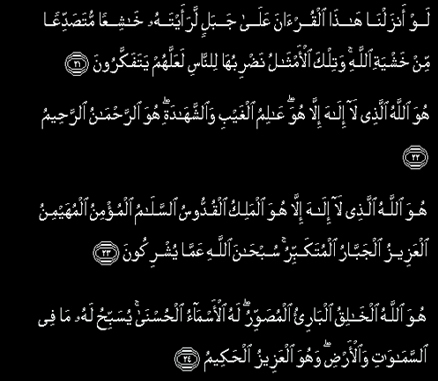 Below I am sharing some verses to help us prepare our hearts to be in the state of making accepted du'a, bi-idhnillah. To Allah belongs whatever is in the heavens and whatever is in the earth. Whether you show what is within yourselves or conceal it, Allah will bring you to account for it. Then He will forgive whom He wills and punish whom He wills, and Allah is over all things competent. 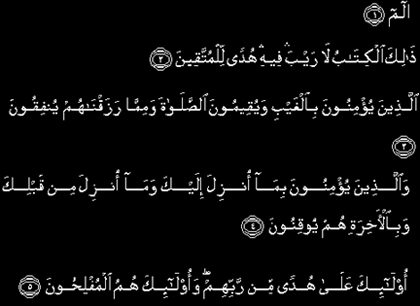 The Messenger has believed in what was revealed to him from his Lord, and [so have] the believers. 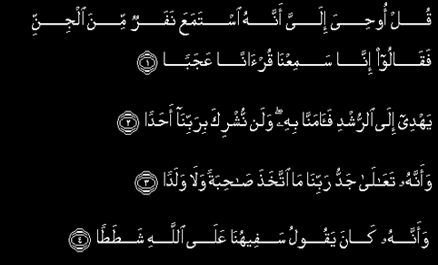 All of them have believed in Allah and His angels and His books and His messengers, [saying], "We make no distinction between any of His messengers." And they say, "We hear and we obey. 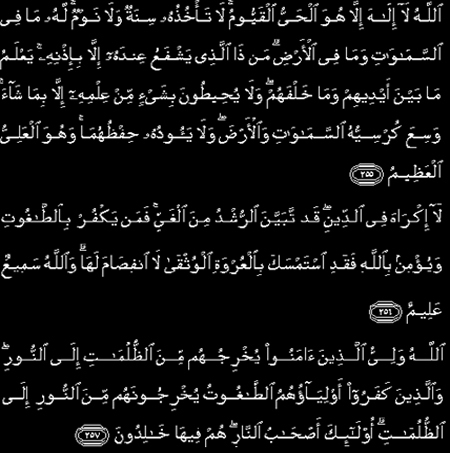 [We seek] Your forgiveness, our Lord, and to You is the [final] destination." By those [angels] lined up in rows And those who drive [the clouds] And those who recite the message, Indeed, your God is One, Lord of the heavens and the earth and that between them and Lord of the sunrises. 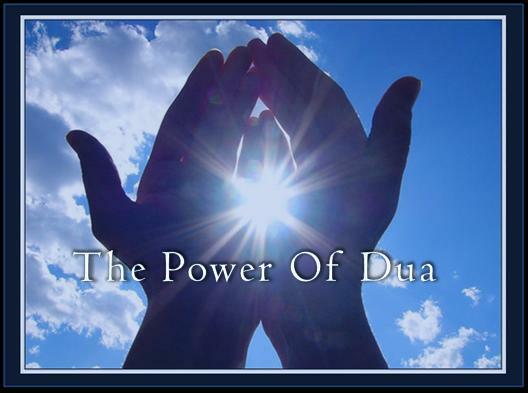 The secret of acceptance of du'a is in the manner of asking and the faith in the One you are asking from! Follow the steps below and believe with conviction that Allah will grant you what is best for you. Make a lot of salah 'alan nabi (prayer on the Prophet SAW) as it is the opener of all closed doors. "Oh Allah, choose for me and don't make me choose except what you have chosen for me; make me content with what you choose for me; and put barakah (blessing) in what you choose for me, Ya Allah." "Oh Allah, if this trial is to elevate, prepare and cleanse me, I am content, Ya Allah. And if there is any way to change this condition, please Allah don't make me unite my heart except to You; don't make me rely except on You; don't make me trust except You; and open for me in a way and time you want Ya Allah. Oh Allah, I believe in qadr (destiny) and know that nothing can happen without your will; make my condition a cause of elevation in this life and the hereafter Ya Allah." Ya rabbi! Ya rabbi! Ya rabb! Ya Muhaimin, ya 'azeezu ya jabbaru, ya fattahu, ya samee'u, ya baseeru, ya qareebu, ya mujeeb! And after that ask for whatever you want! You are the one for the weak; You are the one who can save a drowning man from the sea. You are the one who can guard and save those who are to be destroyed. I call You with every quality, with every name and attribute of Yours; You are the one everything prostrates to-from darkness to light, from sun to moon, water and trees everything prostrates to You; make me prostrate to You and be desperate to You only. Oh Allah-there is no partner with You. You are my Lord! You are my Rabb! You are my Rabb! You are my Rabb! The controller, the governor, the doer, the able, the powerful! 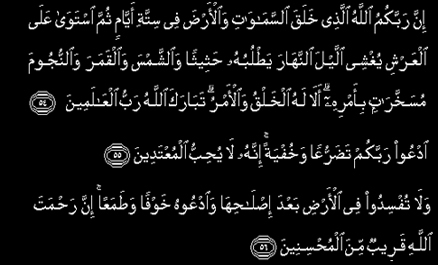 Conclude your du'a with a lot of Salah 'alan Nabi (prayer on the Prophet SAW).